AWESOME SKI HOUSE!! 300yd Walk to Skiing or Main St. Perfect Location! GREAT LOCATION IN PARK CITY HISTORIC DISTRICT. Walk to Quit'n Time Ski Run and ski/bike down to the Town Lift in the middle of Park City. Enjoy the restaurants, bars, and art galleries on Main St and walk home at the end of the night. Sunny three bedroom / 2.5 bath house fully-equipped with a full kitchen. Free WIFI. Are you in the MILITARY? So am I. Ask about our military discounts. If you like a variety of ski resorts, this location makes it easy. 300 YARDS Walk-then-ski to Park City Ski Resort Town Lift. Drive just under 2 MILES (1.78 miles/ 4 minutes) to Deer Valley Ski Resort. Drive 5 MILES (10 minutes) to the Canyons Village. In addition, Alta, Snowbird, Brighton, Solitude, and Robert Redford's Sundance Ski Area are a 45-minute drive away. Snow Basin and Powder Mountain are probably the farthest at just about 1 hour. Park City is well known for its skiing, but summer in the mountains is also wonderful. Summer activities include golf, hiking, and biking. There are several excellent golf courses within 30 minutes drive. Summer weather is glorious; cool and dry and the evenings are long. Fall colors normally occur for a couple of weeks in late September and are varied and vibrant. Nicole - Hi, I bought this house in 2002 from Holly (now my property manager). I recently retired after 20+ years in the US Air Force and had my first baby - a wonderful boy named Bodie! He is 5 years old and already loves to ski. Holly - Hi, I started my property management business when we sold this house to Nicole. Now I manage several properties in the area, giving extra special care and attention to both owners and visitors. My two boys are absolutely crazy skiers! Looking forward to another great snow year. Park City ROCKS!! It's got everything - skiing, snowboarding, great night life, wonderful restaurants, amazing outdoor activities for all for seasons. And our house is in the perfect location to enjoy ALL of it! Mountain bike trails kick off within a few hundred yards from the house. Because we are in the historic district, everything is close by. However, our house is high on the hill on a relatively quiet street with a view of the mountains. Plus, it is a very easy short drive (35 min) from the SLC airport. Easy access! Close to downtown yet on a quiet street at the top of Main St. Great views! Awesome Hot tub! Our house is located in the historic district (aka Old Town) of Park City. It is situated just up the hill from the top of Main Street. 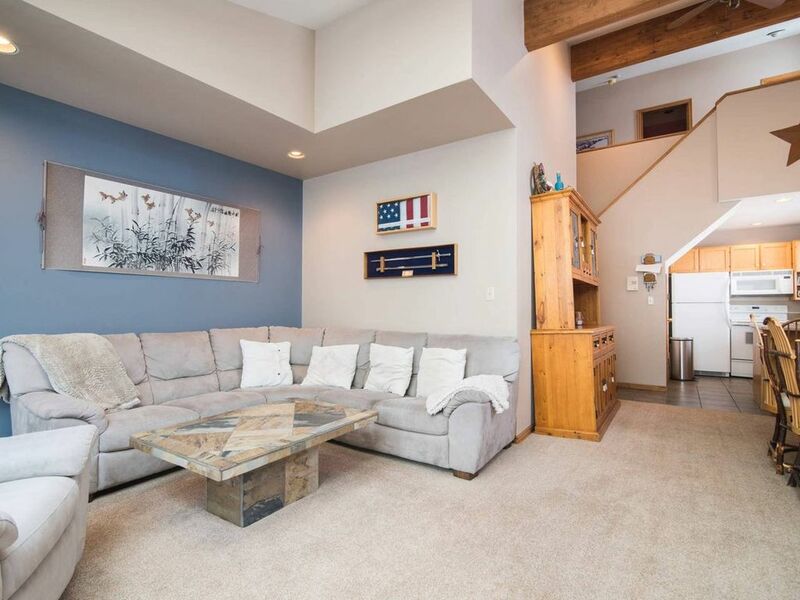 While centrally located, it is on a quiet street with gorgeous views of the Deer Valley mountainside.